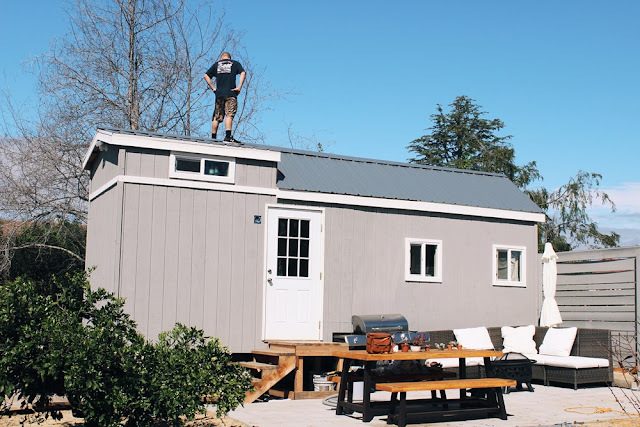 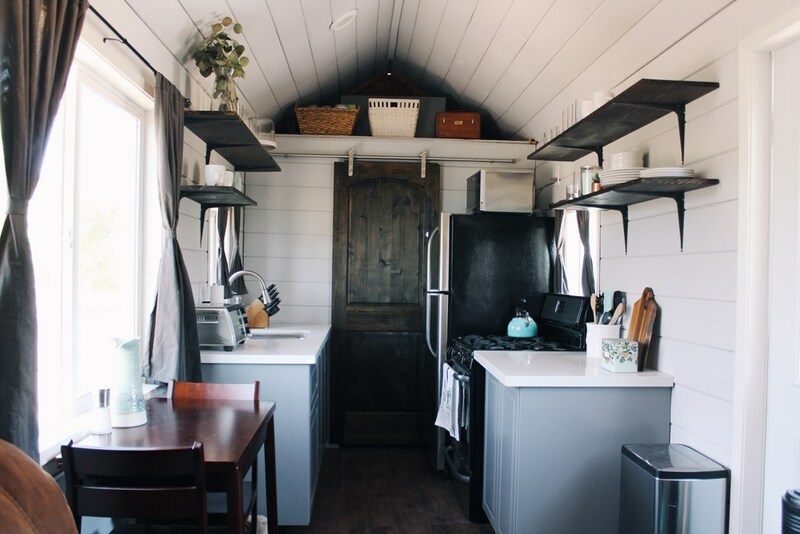 This cute tiny house on wheels is currently available for sale in Fallbrook, California! 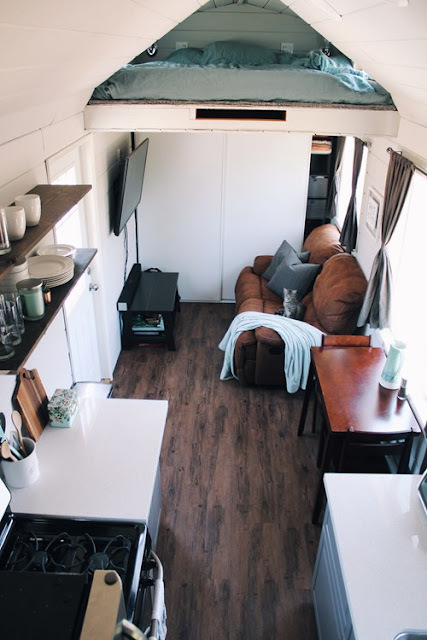 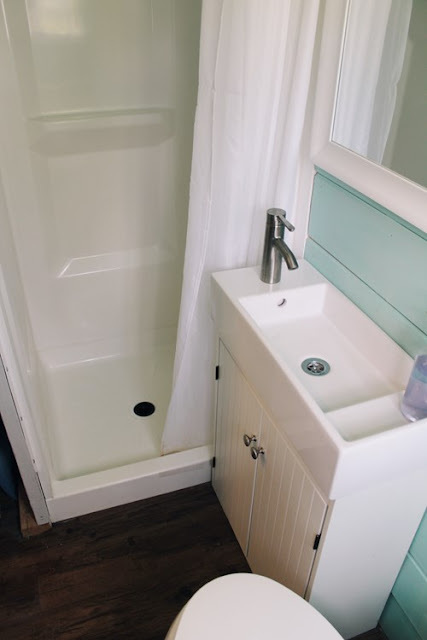 The home measures 24' x 8' and has an interior size total of 270 sq ft. 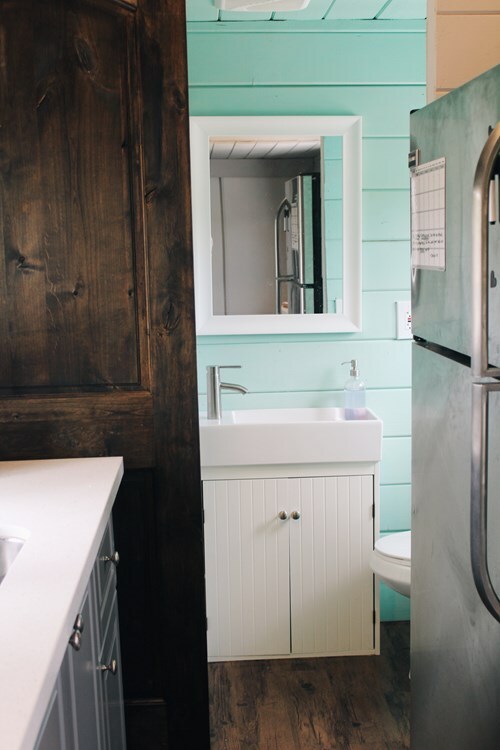 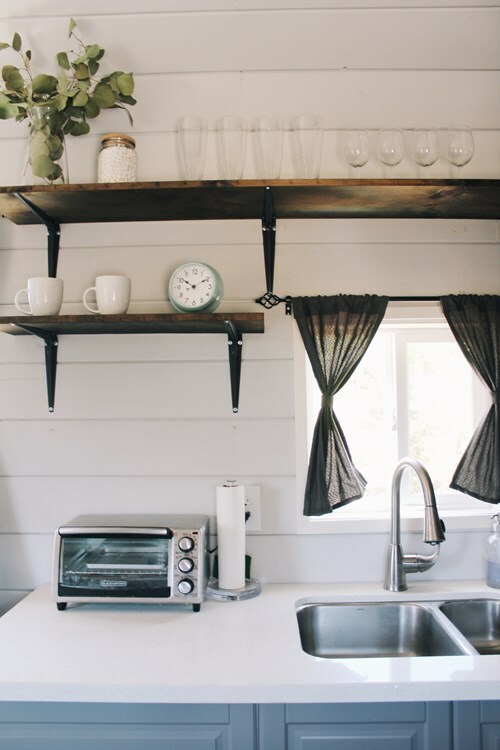 The kitchen comes equipped with a stovetop oven, a full-sized fridge, and sink. There's also a loft bedroom, a second loft for storage, and a bathroom. The sale also includes several pieces of furniture; a sofa, coffee table, and a small dining table. The home was listed for $65,000 and sold.